"21. century will be the era of responsibility, or it won't exist"
oikos Academy is the course of 6 open sessions, all devoted to the different aspects of the highlight of the academy - Sustainability and entrepreneurship. Course takes place almost every Thursday at University of Economics in Prague. This is the very first oikos Academy that is held by oikos Prague chapter. We have invited speakers from the various sectors and organizations as well as interesting individuals: Environment center in Charles University in Prague, Lifefood, Glopolis, UN office in Prague, SKANSKA, Association of social responsibility, Impact hub - Social Impact Award, Pragulic, Bezobalu , Ironing Ladies, Czechitas. Entrepreneurship is believed to help improvements for individuals as well as overall socio-economic environment all over the world. It creates workplaces, contributes to the public wealth and prosperity, mildens the conflicts and softens the social interactions. It is our honour to support entrepreneurial spirit and inspire the audience and call to action. Participants that will attend at least 4 events, will be awarded certificates. All lectures will be held in RB 211 from 19:45. Check out the program for more details. 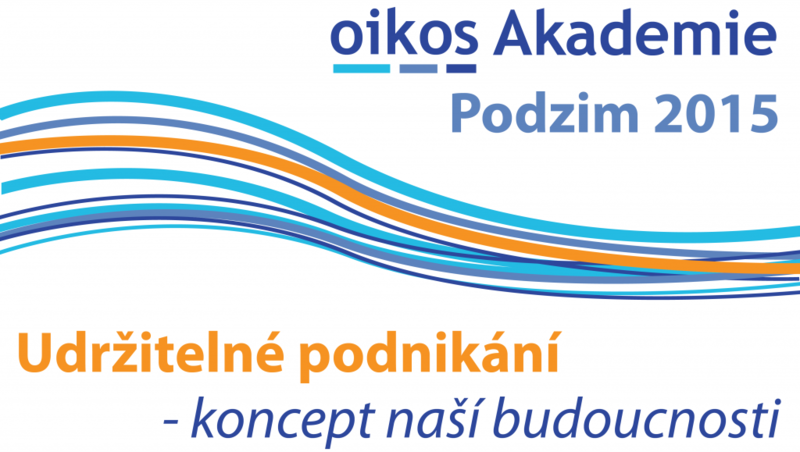 To stay updated, like us on Facebook: oikos Praha and oikos akademia Praha.